We couldn’t have done it without YOU!!! 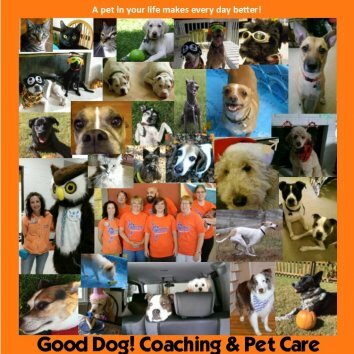 our much loved and valued clients. 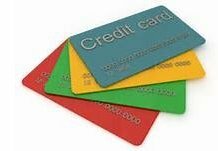 So we hope you’ll keep coming back for more, and if you like what we do please tell others (in fact we have a fabulous referral program if you do!) about us. 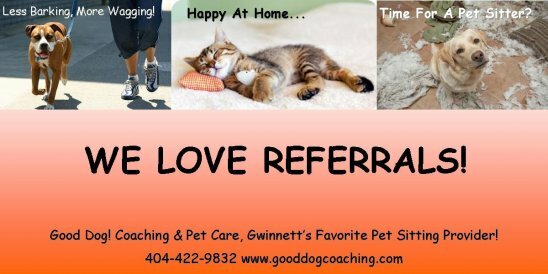 In doing so you help support this small local business but most importantly the families of our pet sitters who give so much to the pets (your pets) in their care. New data from Nationwide, the nation’s first and largest provider of pet health insurance, reveals that pet obesity is on the rise for the fifth straight year. In 2014, Nationwide members filed more than $54 million pet insurance claims for conditions and diseases related to pet obesity, a 10 percent growth over the past two years. 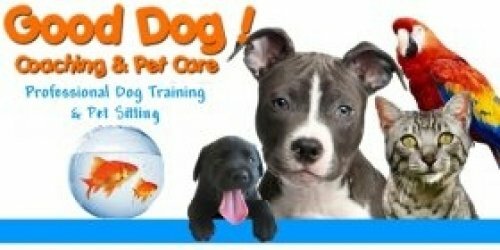 In a survey from October 2013, the Association for Pet Obesity Prevention (APOP) found that 52.6% of dogs and 57.6% of cats are overweight or obese in the United States. Founder of APOP and veterinarian, Ernie Ward, said pet obesity “has the greatest collective negative impact on pet health, and yet it is almost completely avoidable.” 28% of dog owners and 33% of cat owners buy pet food/nutrition products related to weight/obesity. 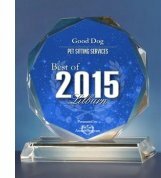 Thank you to all of you for voting for Good Dog! 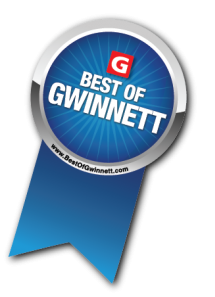 Coaching & Pet Care for Best of Gwinnett for 2015. We are honored and appreciate each and every one of you. It has been our privilege to serve you in 2015 and look forward to this coming year! Meet Cooper, the newest member of our Good Dog! family. His mom is our Client Care Manager, Shelly. 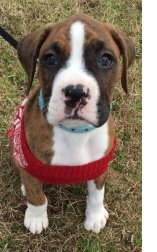 Cooper is the sweetest little boxer puppy. He is growing by leaps and bounds and has already met sweet Cole! He is doing great on his potty training and already knows sit and "high five". One of his favorite things is playing and snuggling with Shelly's grand dog, Jasper (also a boxer). in the Pet Sitting category. The Lilburn Award Program is an annual awards program honoring the achievements and accomplishments of local businesses throughout the Lilburn area. Recognition is given to those companies that have shown the ability to use their best practices and implemented programs to generate competitive advantages and long-term value.